Good evening, Doc Sandlin. I hope this message finds you and your loved ones well. Was wondering if you can help me to sort through some political/ theological questions I have been confronting lately. To begin, I am a Reformed Christian. I am also, what I would describe as, a proud, patriotic American who believes that America is the greatest nation on God’s green earth (as Michael Medved would say), who is a conservative Republican and someone who bleeds red, white and blue. I am the type who goes to see ‘American Sniper’ and cheers when Chris Kyle took out the Iraqui [sic] sniper. So that’s me in a nutshell. However, I have recently been reading a lot of online posts from people like —– and —— who have me thinking that my patriotism and views on American exceptionalism are un-Christian or, perhaps, idolatrous and, therefore, in need of revision or abandonment. Do you have any articles or advice that address some of these things? I realized that my question was a little sloppy and hastily constructed. I guess what I am really asking is whether there is some inherent conflict between being Christian and being patriotic and stridently pro-American? Pro-military? Pro-destroy-the-bad-guys? Etc. This is an excellent, clear question. I haven’t read what —— and —— have written about this topic, but the former is an old friend who sadly is departing from any virile, Bible-believing Christianity. I fear for his life and ministry. Properly qualified, your position is not only the biblical one, but one that should be emphasized today more than ever. Every summer I am privileged to address the topic of American Exceptionalism (AE) for the Blackstone Legal Fellowship at the Alliance Defending Freedom. AE should never imply an uncritical patriotism: “My country, right or wrong.” Jesus Christ and his word stand above and judge all nations and cultures. We must not, as Francis Schaeffer used to say, wrap the cross in the flag. But this is not what AE or Christian patriotism actually does. What makes the United States exceptional is the foundational institutions and way of life springing from the Christian influence pervasive on these shores during the colonial era and extending into the late 18th century and far beyond. I am referring to (1) individual liberty, (2) religious liberty, (3) separation of powers, (4) protection for minorities, (5) property rights, (6) Protestant dynamism, (7) universal morality, and (8) religio-cultural virtue. These institutional and cultural traits are the result of the influence of Christianity. It is correct, therefore, to say that American Exceptionalism is at root Christian Exceptionalism, and the attacks on AE by leftists (including “Christian” Leftists) are ordinarily launched by people who deplore biblical Christianity. 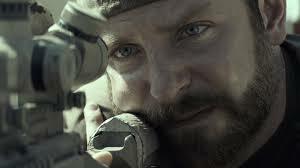 The hysteria from the Left that “American Sniper” glorifies war is utterly misguided. This is not a pro-war movie. Nor is it an anti-war movie. It is a war movie, depicted from the perspective of a flawed but good man, husband, father, and friend. He also was a true American hero. Romans 13 will justify neither libertarian pacifism nor global do-good-ism. I hold Harold O. J. Brown’s view in defense of Christian crusades: nations shaped by Christianity, even those having drifted far from the Faith, are still obligated to employ coercion to redress egregious grievances outside their own borders like what we see with ISIS’s slaughtering children, crucifying them, and burying them alive. The most peaceful, holy, gracious thing the United States could do would be to hunt down and kill these enemies of the Triune God. The fact that our own nation is sinful (though by no means in the way ISIS is; there is no moral equivalence here) is no excuse. Two wrongs don’t make a right. With all of her sins and faults, the United States is still the greatest nation on earth and the greatest nation in the history of humanity. We U. S. biblical Christians are not merely permitted to be patriots; we are in some sense commanded to be patriots. Of course not! But because of the women and men that The Lord placed on these shores, the “perfect” is possible. You can end slavery; you can have moral capitalism; you can defend countries who can’t defend themselves; everyone can partake in democracy and so on. The ungodly are so stuck in their “faith”, that they’ve lost the freedom to dream of what’s possible, not for the masses whom they seek to control, but for each of them…to strive for what the Creator has planned. We can go back to their “big bang” and instantly see the divide between association with the Power of Creation or the choosing at one’s peril, independence. Looking at the vision/statue of Nebuchadnezzar, it seems to me that the world has never left the empire of the “feet partly of iron and partly of clay.” Christian doers and thinkers through the millennium have demonstrated the freedom, justice and love that comes from Jesus, but the empire rejects it. Thank you Andrew for being in that pantheon of leadership that inspires the Body of Christ to accept God’s love and support as envisioned by 2 Chronicles 16:9a and put into action through Isaiah 26:12. I just need you to explain to me how religious liberty does not contradict the First Commandment.